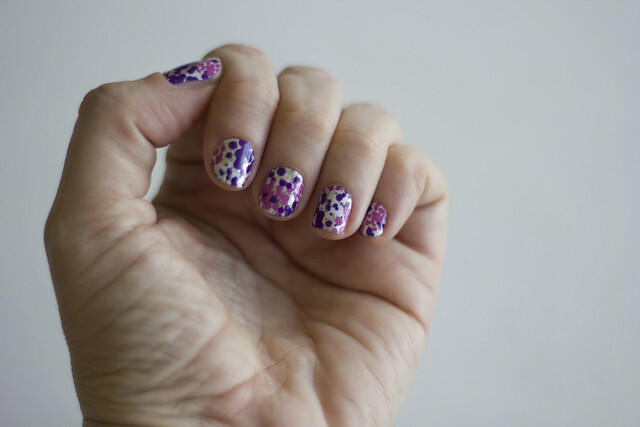 Diary of a Stay at Home Mom: Jamberry Nails - Another review and GIVEAWAY!! Well ladies, I am here to talk about Jamberry Nails, once again. 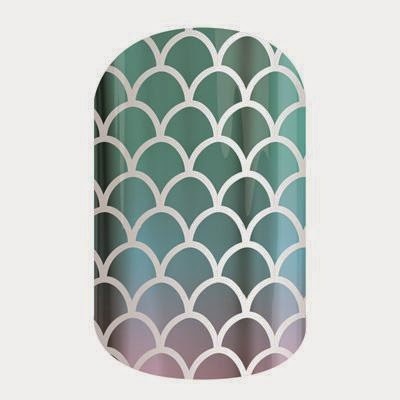 I did a review on these nail wraps, not that long ago and at the time I was trying them out for the very first time and though I liked them, I recognized that due to operator error, my own, they didn't last long at all. I was a bit disappointed but knew that I would be trying them again and would do my very best to really take my time with the application. A few weeks ago, another friend and fellow military wife, asked me if I would be willing to try them again. She is a Jamberry Consultant and I'm always more than happy to help boost up their business. Anna sent me the wraps of my choice, which at the time were very Valentine's Day inspired, but I love hearts and red and white and I will use them throughout the year. Totally in love with these, just jaw dropping gorgeous. What do you think? I got them on pretty quick and had no issues at all with them falling off. I kept these on for 2 weeks and only took them off because I wanted to try the other design. Good thing about these is that the sheets allow for at least two applications, but I have such tiny nails that I know I will get a lot more uses out of that one single sheet. So now to show you the second set I received. Get a finer grit file (glass files are awesome!) or try filing at a *slight* angle to leave the tiniest bit of nail at the tip. So let me tell you a little more about these Jamberry Nails, give you some info, some videos and then I'll talk about the Giveaway I am going to do. Brand new Spring/Summer designs just released. Always Buy3Get1FREE. One sheet of wraps does 2 manis and 2 pedis. Wraps last up to 2 weeks on fingers and 6 weeks on toes. Looking for the most popular new designs??? Here you go, check them out here. According to Anna, these are proving very popular amongst her customers and I can see why, oh my goodness, they are gorgeous. Did you know you can also design your own??? Just imagine being able to put your own designs and personalize them to your like. You can go over to the Nail Art Studio to see how to get started. Just a heads up from Anna though "just be careful with copyrighted stuff. Jamberrry will not print anything with Disney, Star Wars, Minions etc. They've received cease and desist letters and been threatened with lawsuits...". Have curvy nails? I do and I struggle with little bubbles at the tip of the nail, so here is a super easy way to fix those. If you've never given these a try, you really need to. I used to get the Walmart ones and I hated them, they never went on right, they fell right off and I always felt like I was just wasting money. The great thing about these is that they're vinyl and adhere so well to the nail. And just imagine the cool looking nails you will have all year through. You can find Anna on her Jamberry Consultant page, she is super sweet and friendly and helpful and she will get you started right away. You can also find her on Facebook. I want one of you to have the chance to try these awesome nail wraps, so I'm offering a set to a winner that I will draw at random. All you have to do is visit the new Spring/Summer inspired designs page, decide which one you would like to try, and then leave me a comment telling me which one you prefer. Also, please like Anna's page on Facebook. I will draw a winner next week Monday, so go on and make your choice, and tell your family and friends. Good Luck!!! The blushing floral is really pretty, but not too bright. Though they're all so fun looking! How do you choose.. they are all so pretty. I really love Amore though.. so gorgeous! Thanks for an opportunity to win! I really like Whisper. They are subtle but pretty. Thanks for the chance to win some! Ilove Blushing Floral for Spring.So pretty. I'm not the nail polish type of person, I'm pretty plain, BUT if I could choose just 1 to try it would have to be the "Cosmic". I like tapestry. I tend to paint my tow nails red all the time, but to have some pretty finger nails would be nice too. The Cabana wrap is super cute! I have been loving that aqua/mint color this spring! I am not really sure I can pick just one! I like the "Digi Scan" because it reminds me of Dr. Who. I also like any of the floral ones. I've been curious about jamberry but as a nurse am worried they won't hold up to my constant handwashing, I really liked the marsala in bloom. i like word to the wise! Would love to try this! The punchy puff is my favorite! I like the Celeb Status. These look like a fun way to do your nails!! I LOVE the new Cabana wrap! Such a pretty color and simple design. I love the Sorbet! So pretty for spring! 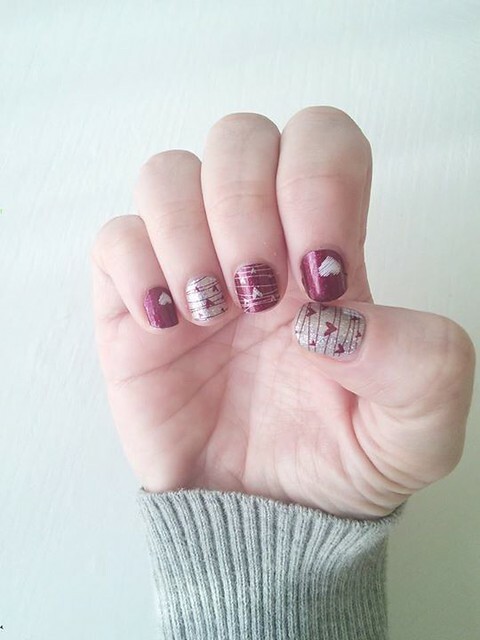 I LOVE Jamberry! My fav design would be out of focus closely followed by blushin floral! I really like sorbet...thanks for the chance to win a great prize. I really like the Spring Break wrap! I like Out of Focus! Wow, the Gelato wraps are perfect for Spring/Summer! I would love to try those!